Who would have thought that a bottle, filled a third full of water, would allow hours of fun? 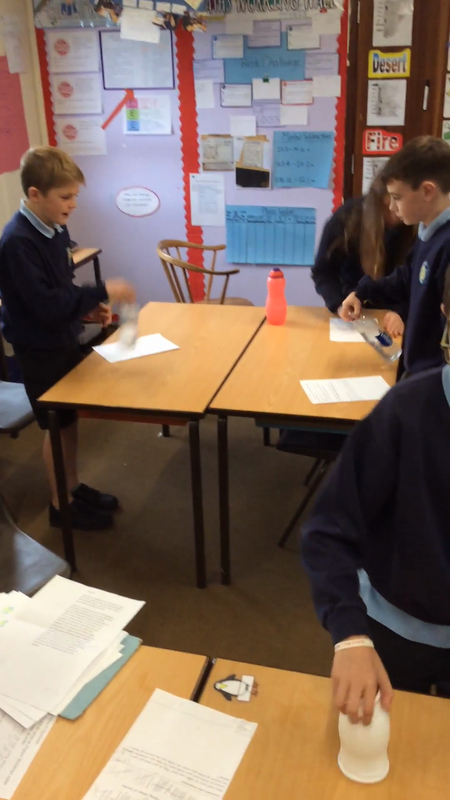 Well, it does...in Year 6, we have been struck by the "Bottle Flipping" bug and this week we devoted our Science lesson to the Physics behind this phenomenon. We learned that it is all about the angular momentum when flipping a bottle and that it has to be flipped from the cap of the bottle. We looked at how the fluid and the centre of gravity also aided the momentum of the bottle allowing it to flip in a full circle. We did an investigation on angular momentum and seeing whether this allowed the bottle to land upright .... and needless to say, WE HAD A LOT OF FUN! And the landing of not one....but TWO bottles at the same time!